As the pioneers of the PRE-GROW, Andreasens Green are specialists when it comes to growing stock to order. 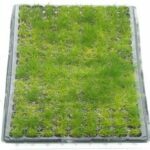 We have a full time team dedicated to PRE GROW orders, ensuring we provide the right stock in the right size, in the agreed time frame, eliminating the need to substitute. We also offer PROVENANCE PRE GROW service which involves the collection of seed and vegetative material from a specific provenance, propagating it and growing it on to specified sizes for replanting. We provide advice on species selection and stock availability. 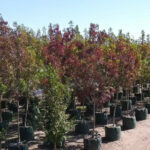 Our sales team has the horticultural expertise to help you with your species selection. We can advise if the species nominated is readily available and suitable for the environment in which it will be planted. We can advise if the plants are fit for their intended purpose. We can also help you specify the right container size to ensure you achieve the desired effect. Sometimes it is hard to secure large numbers of the same species. Contractors are then left to source the material from various suppliers which can lead to problems such as a lack of consistency in size, form and quality. Generally speaking, the larger the container size specified the longer the lead time is to grow the stock. In addition, it is often more difficult to purchase a species in large quantities while maintaining uniformity and consistency. By pre-growing your material to order we are able to provide consistency in stock size, shape and variety. 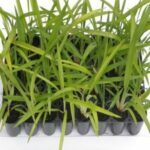 This is particularly important when projects require staggered planting times - the designer can be assured that by pre-growing stock, the material supplied will be consistent in Stage 1 of the project right through to the last planting stage. Plants will generally also be more uniform if they come from the same batch of starter stock. When pre-growing material, we are able to produce stock with certain specifications from the designer. For instance; if the planting depth is an issue due to underground services, we are able to produce a modified root-ball to ensure installation is achievable, or stock may require under-pruning to allow for pedestrian access. Details of these modifications are discussed with our production and maintenance teams at all stages to achieve the desired result. We are able to grow a wide range of species due to the fact we have five growing facilities throughout NSW and QLD, providing us with different climatic conditions. In addition, this also provides us with the ability to acclimatise stock that may have been grown or bought in from another climatic zone, providing us with the ability to minimise the risk of stock failure. You can take comfort in knowing that we have a full time team designated to handle your Pre-grow order. Our Pre-grow Team provides you with a direct contact when requiring updates on your stock and co-ordinating inspections of your material. Often pre-growing an order provides us with an opportunity to offer savings to you or your client. In some cases, the savings provided have been as much as 25%. The Pre-growing of an order is one of the best ways to ensure all stock can be grown to the Australian standard. Inspections can be made to coincide with production phases, such as potting on, root pruning & general maintenance. The designer has constant contact with the stock and the monitoring of the production of material, along with our pre-grow coordinator. Andreasens Green has been part of the landscape industry for almost 35 years and has gained much experience from the jobs we have supplied over that time. We are constantly drawing on this pool of information when discussing projects with our clients. Where possible, we can provide details of other projects we have supplied and even put you in touch with designers and contractors who have worked on them.